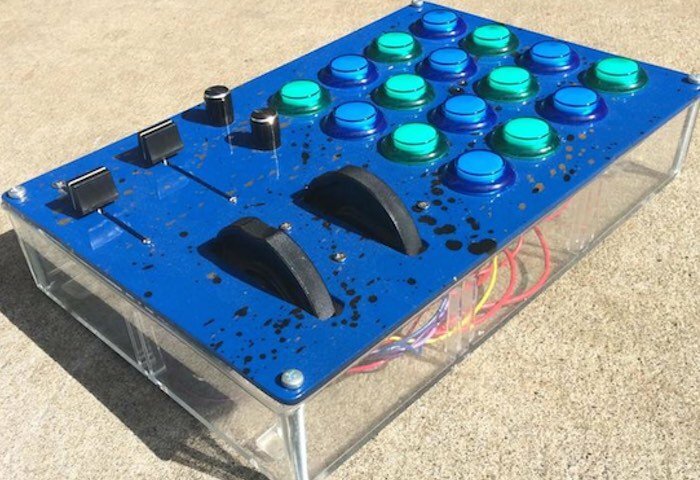 YouTube user Alex otherwise known as Glacial Geyser published instructions this month on how to create your very own DIY Arduino powered MIDI controller completely from scratch. The Arduino MIDI controller can be seen in action in the video below and full instructions have been published to the Imgur website which is accessible via the link below. MIDI controllers can be great instruments to supplement your musical skills. As seen in the video below, Alex’s project is no exception, and he’s able to produce some really beautiful music using it and a keyboard. Physically, he created this out of plastic parts from a bathroom organizer and a cutting board that he cut using mostly handheld power tools. An Arduino Mega serves as the brains of the operation along with two 75mm 10k faders, two 10k knobs, pitch bend and modulation wheels, and a couple of LEDs. The build is finished off with a splattered paint effect and nearly a whole can of clear coat. Programming the device was a challenge, but it seems Alex gained some useful knowledge for next time!